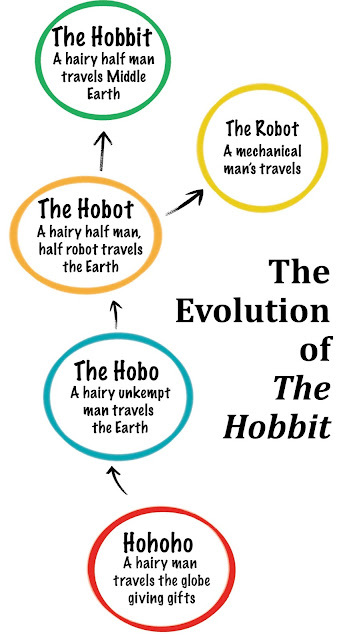 in which he speaks of how a book, like The Hobbit must not have been written, but rather evolved, copying error upon copying error, from an earlier work. So that got me wondering, what might that earlier work have been? So this is one possible "tree of life" for the the evolution of The Hobbit. What came before Hohoho, we don't know, but we do know that there was something, because, after all, The Hobbit exists, and since we know there is no Author, there must have been earlier ancestors.